- Extensive connectivity– 3.5mm analog (for headphones and mic pass-through) and USB ports. 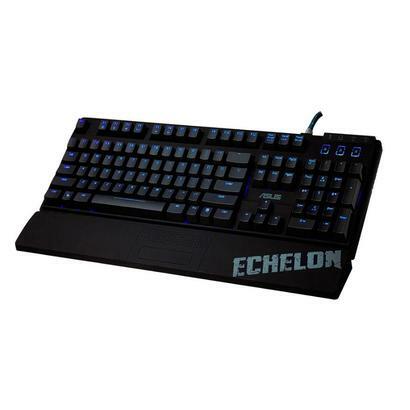 The Echelon mechanical keyboard is built to help you win. 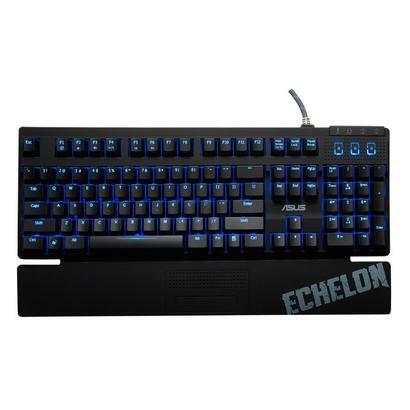 With the best available mechanical hardware and peerless Cherry MX Black switches, it responds the very instant you tap — so you’ll vastly improve your hit count, no matter what kind of games you like to play. 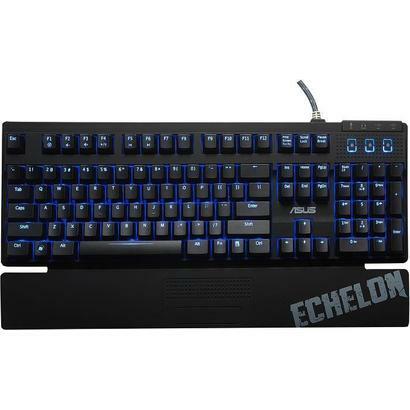 ASUS Echelon gaming set features an attractive design inspired by the digital camouflage patterns popular in many games and, of course, on real-world military apparel. The set includes everything you need to look good and secure victory — a headset, 7.1-channel USB sound card and headphone amplifier, mechanical keyboard, laser mouse and fine-weave mouse pad. It’s the sure-win combo that you’re sure to want!